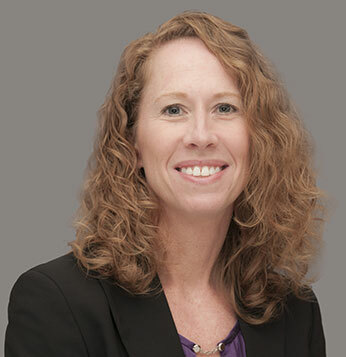 Since 1997, Julie Murzyn has counseled a variety of business owners, transportation companies and insurance companies in complex business decisions and litigation matters. Her practice focuses on commercial and transportation defense, with 16 years of litigation experience. She holds an AV® Peer Review Rating from Martindale-Hubbell, its highest rating for ethics and legal ability. Ms. Murzyn is a member of the Federation of Defense and Corporate Counsel, the Defense Research Institute, the Association of Defense Trial Attorneys, the Seventh Circuit Bar Association, and the Lake County and Indiana State Bar Associations. Estate of Mills and Estate of Vance v. Risner’s Oasis, Inc. et al., LaPorte Superior Court. Summary Judgment granted in companion wrongful death cases, affirmed in Indiana Court of Appeals on November 12, 2015. Estate of Orellana v. Bernardi Bro LLC, Lake Superior Court, Hammond, IN. August 18 – 15, 2014. Represented defendant in dram shop wrongful death case. Defense Verdict. Rodriguez v. Matey’s, Inc., LaPorte Superior Court, Michigan City, IN. July 23-26, 2012. Represented defendant in premises liability case involving alleged building code violations. Hung Jury. Settled for less than Plaintiff’s medical bills before retrial in December, 2013. Ortega v. Susko Corporation, Inc. d/b/a Our Place, Lake Superior Court, Crown Point, Indiana. February 20-22, 2012. Represented defendant in case where issue was whether defendant bar was negligent in providing premises security where plaintiff, a customer in the bar, was shot multiple times. Directed verdict for defendant. Upheld on appeal, January 2013. Vidimos, Inc. v. James Churilla, Lake Superior Court. October 4, 2010. Represented plaintiff in common law indemnity action against former employee. Summary Judgment granted on liability, and Agreed Judgment on damages the day before trial was scheduled to begin. Krinis v. Menard, Inc., Lake Superior Court. March 31, 2008. Represented Defendant in premises liability case. Plaintiff verdict. Carolyn Jordan v. Laidlaw Transit, Inc., Lake Superior Court. October 31, 2005. Represented defendant in commercial vehicle accident involving intoxicated driver. Hung jury, settled before retrial. Parmley v. Menard, Inc., St. Joseph Superior Court. January 18-21, 2005. Represented defendant in premises liability case. Defense verdict. Handling High Exposure Casualty Claims, Seminar to Insurance Claims Professionals at PLRB Eastern Regional Meeting in Atlanta, GA. November 10 – 11, 2015. Handling High Exposure Casualty Claims, Seminar to Insurance Claims Professionals at PLRB Central Regional Meeting in Columbus, OH. September 9 – 10, 2015. Handling High Exposure Casualty Claims, Seminar to Insurance Claims Professionals at PLRB Western Regional Meeting in Frisco, TX. June 16 – 17, 2015. 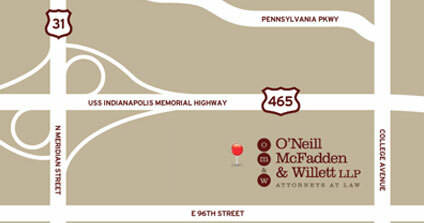 Ms. Murzyn joined O’Neill McFadden & Willett LLP in September of 2011. 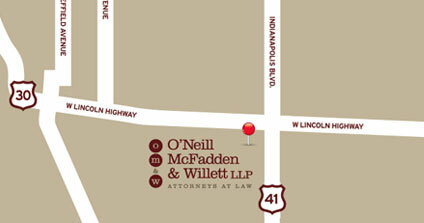 For 14 years before joining O’Neill McFadden & Willet LLP, she was a partner at another mid-size law firm in Lake County. Ms. Murzyn holds AV® Peer Review Rating from Martindale-Hubbell, its highest rating for ethics and legal ability.